Earthly Matters Painting now does professional roofing repair services as well as brand new roof installation. 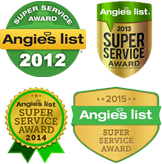 We have a separate crew that specializes in roof repair and new gutter installation. Our summers are treacherous and our winters haven’t been very mild either so you may be in need of more than just painting services, you may also need a new roof and many times your insurance company will cover the cost if you file an insurance claim. Your home is most likely your most expensive investment – why not take care of it so that it will increase in value and last a long time? 1. Shingles that are curled, cracked, or absent. These are indications that the shingles are nearing the end of their lifespan. If you see (or don’t see, as the case may be) lots of these types of shingles, you should consider getting your roof replaced. 2. 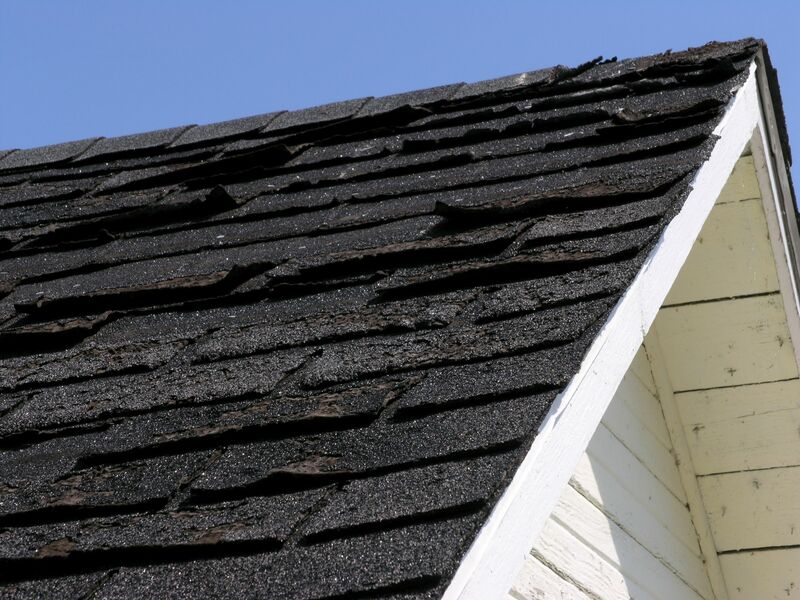 Shingles that are dark, dirty, or even wet. If shingles are allowing moisture to be trapped, they aren’t doing their job. Keep in mind that the wetness may not be right under the offending shingle (since water runs downhill). 3. Lots of shingle granules in gutters. Composite or asphalt shingles shed their granules when they start to wear out. These granules often find their way into your gutters. The granules look like coarse, black sand. 4. Wear and tear around roof objects and openings. Chimneys, vents, pipes, and other objects that penetrate your roof are places where deterioration may initially develop. Often, the fixes can be confined to these specific areas. 6. Staining on interior ceilings or walls. Water stains or discoloration on walls or ceilings can be caused by many different things. But your roof’s underlayment may be allowing moisture into your home, which leads to the stains. Replacing your roof will solve this problem. 7. Leaks in the attic after a rainstorm. If rain is getting into your attic, it may be simply a question of replacing some flashing. But again, if the culprit is a porous underlayment, you’ll probably need a roof replacement. 8. A roof deck that is sagging. If you notice the decking or rafters in your attic are sagging downward instead of remaining straight, they may be wet from leaking moisture. If it’s localized, you may be able to avoid a complete roof replacement. 9. The presence of outside light in your attic. If you’re up in the attic during the day and you can see streams of light coming in, know that water can invade your attic through those same openings. Check the shingles to see if they need replacing. 10. Higher energy bills. If you suddenly see a spike in your air conditioning or heating costs, the cool or warm air may be leaking out through your roof. But if you address this ventilation issue in your attic, your heating and cooling expenses should drop.